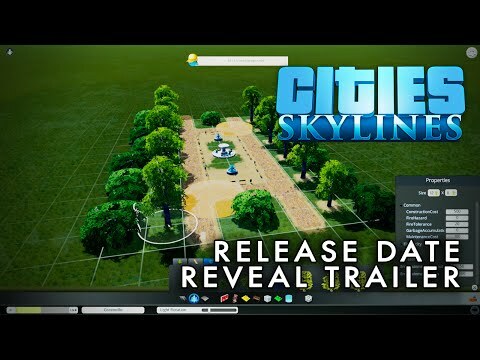 Download game Cities: Skylines - Deluxe Edition right now! Age rating This product is not yet rated. Original Soundtrack: This Original Soundtrack includes 14 unique tracks mixed from the ambient music of the game, allowing you to enjoy the wonderful music whenever you want. Cities: Skylines is a modern take on the classic city simulation. The game introduces new game play elements to realize the thrill and hardships of creating maintaining the a real city whilst expanding on some well-established tropes of the city building experience. Multi-tiered and challenging simulation: Constructing your city from the ground up is easy to learn, but hard to master. Playing as the mayor of your city you’ll be faced with balancing essential requirements such as education, water electricity, police, fire fighting, healthcare and much more along with your citys real economy system. Citizens within your city react fluidly, with gravitas and with an air of authenticity to a multitude of game play scenarios. Extensive local traffic simulation: Colossal Orders extensive experience developing the Cities in Motion series is fully utilized in a fully fleshed out and well-crafted transport systems. Districts and Policies: Be more than just an administrator from city hall. Designating parts of your city as a district results in the application of policies which results in you rising to the status of Mayor for your own city. Extensive modding support: Build or improve on existing maps and structures. You can then import them into the game, share them as well as download the creations of other city builders on the Steam workshop. © 2015 Paradox Interactive™. Trademarks belong to their respective owners. All rights reserved. I like this game and I've been playing it for a long time now, workshop content on Steam adds a lot to this game. Sometimes it's seem to be boring having no goal or end, but when game developers do an update, here comes "disaster" some of mods or buildings from Workshop don't work and games want start or there is something missing in your city, it takes time for modders to do an update for things to work again.